You may not know it, but your hair does — high humidity, hot weather and air-conditioning can frizz, dehydrate and even damage your mane. Hair is hygroscopic, which means it absorbs water from the surroundings. In Singapore’s muggy weather, the water molecules can cause each strand to swell unevenly, creating unwanted kinks. And if you think escaping the heat by cooping up in some cold room would help, you’re mistaken. Air-conditioning can remove too much moisture from the hair and scalp, resulting in brittle, dry strands and increased hair loss. Sunlight helps our bodies produce vitamin D, but too much can dehydrate our hair. Ultraviolet rays may damage the hair cuticle and its melanin content. Perspiration, especially on the scalp, also removes natural, protective hair oils. This hairy catch-22 can now be resolved with Amorepacific’s two-pronged approach. 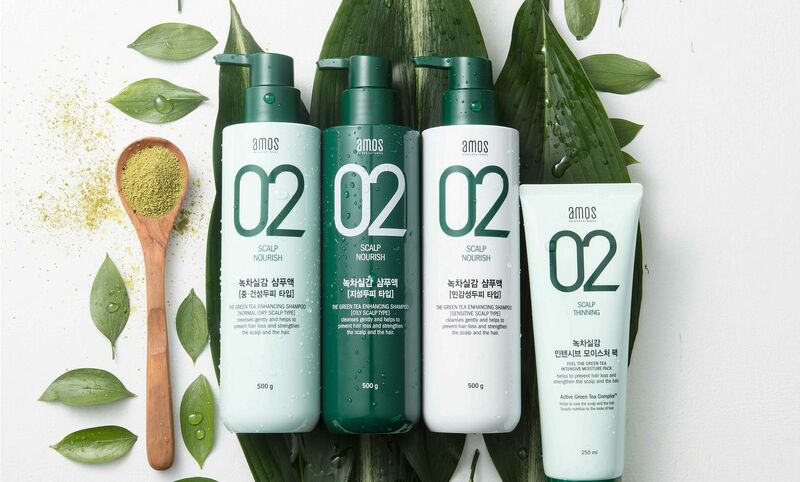 Amos and Ryo, the latest premium haircare brands by the Korean beauty and cosmetics giant, focus on trendy styles and trichology. Envy that Korean celeb with impeccable tresses? There’s a high chance she uses Amos Professional, South Korea’s No. 1 salon brand. You can now get Korean-style hair as well, as this pro-grade, salon-only product line is now available at over 180 hair salons in Singapore. Don’t fret if you’re unsure what to get for your hair, as the professional hair designers who distribute Amos Professional also provide hair counselling services — just like how it’s done in Korea. Get your K-style on with Amos Professional haircare, scalpcare, colour and styling products — all customised for various individual concerns. To retain those luscious locks, take home a bottle of bestseller The Green Tea Shampoo line, available for oily, dry or sensitive scalp. More than 10 million units have been sold since its launch in 2009. Lustrous hair starts with a healthy scalp, and Ryo backs this with deep research, and accolades to boot. 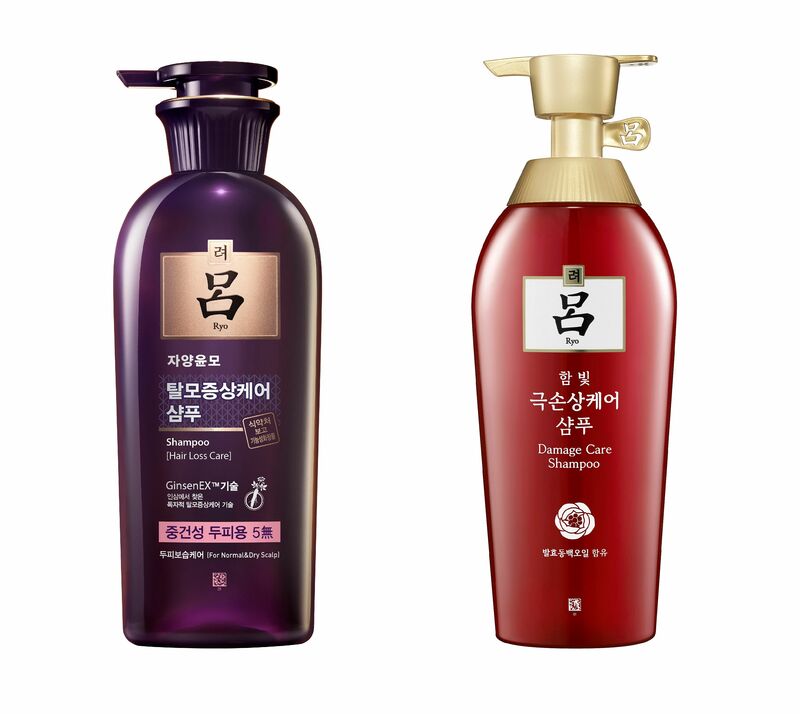 In South Korea, Ryo has been recognised as the leading herbal medicinal shampoo brand for 10 years running, since 2008. That same year, Ryo’s products were accepted as quasi-drugs for anti-hair loss care for the first time in Korea, and obtained related patents. In 2015, the Korean authorities permitted the brand to sell its ginseng-based, anti-hair loss products as quasi-drugs. Today, Ryo’s GinsenEX™ for powerful hair loss care is the culmination of its unwavering 45-year dedication to scalp science. Of note are Ryo’s decade-long flagship Ryo Hair Loss Care Shampoo, which is formulated with ginseng; and Ryo Damage Care Shampoo for extremely damaged hair. If you can’t wait to get your hands on these products, they’ll be available (along with the brand’s other main product lines) at most Guardian stores from the first quarter of next year.